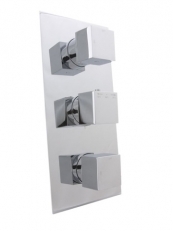 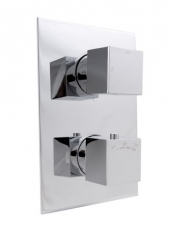 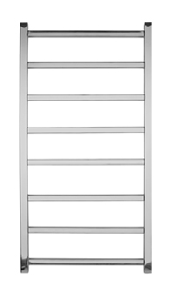 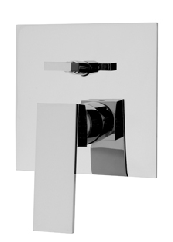 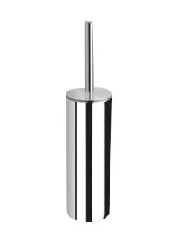 Square brass shower head 220mm chrome. 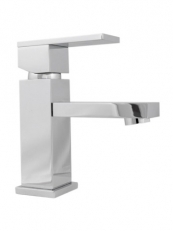 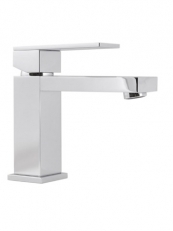 Manufactured from cast brass.Polished and chrome plated. 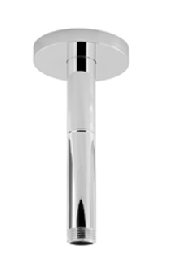 Featuring 196 rub clean nozzles that are part of a latex mat situated inside the shower head. 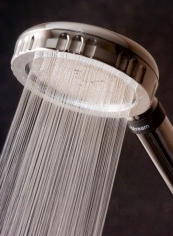 The advantage of this construction is that the nozzles can never become detached from the shower head. 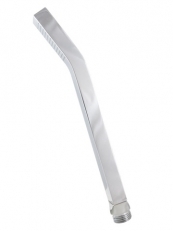 Comes complete with a swivel connection knuckle enabling the head to be angled. 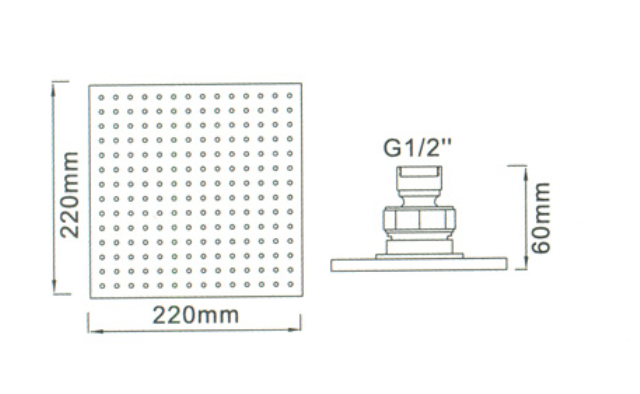 1/2 inch connection.